KATIE: *from across the room* Waffles, you're on my stool. Get off my stool. 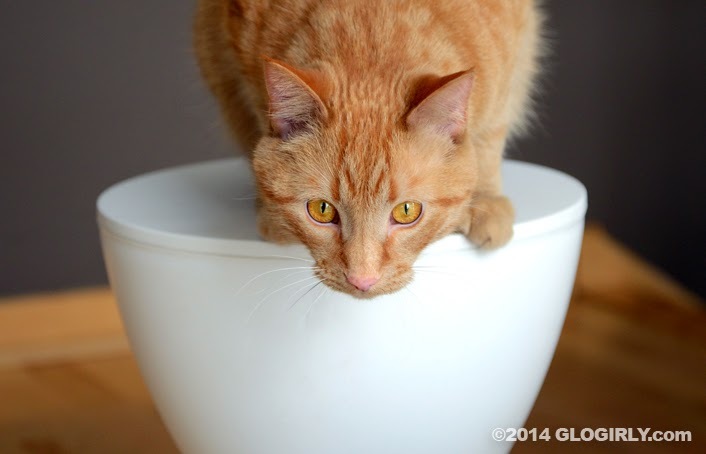 WAFFLES: Since when is this YOUR stool, Boss? WAFFLES: I don't think it's your stool, Boss. WAFFLES: Um, is your name on it? I don't see your name on it. Is your name on it? KATIE: You want my name? I'll give you my name. KATIE: There. This stool never looked so good. Now I just need about 247 more of these frames. 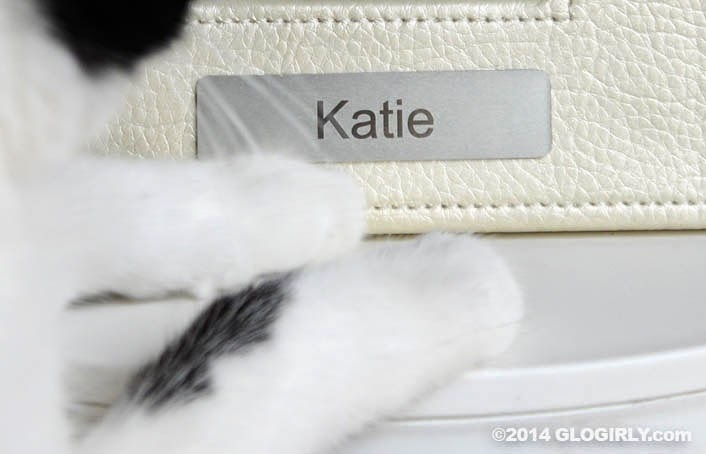 Katie, we have one (hyphenated) word for you: LABEL-MAKER! I need that too. For all my stuff. And I think I'll hang it by the front and back doors too so Ichiro can't even come in the house! HA! Poor Katie. You had better clam down. I agree about the label-maker! Um, can Waffles read? Well, at least dat are a non-stinky way to mark your territory! MOL Yous 2 bickew like meez and sis Lexi. MOL Hav a Pawsum Sunday!! You need TONS of stickers & labels, Katie!!! Good luck, Katie! Waffles looks pretty determined. MOL! Katie, get out Glogirly's credit card! Just rubs your chin and cheeks all over it...that'll claim it! At least temporarily :D.
I think Katie has you on this one Waffles. 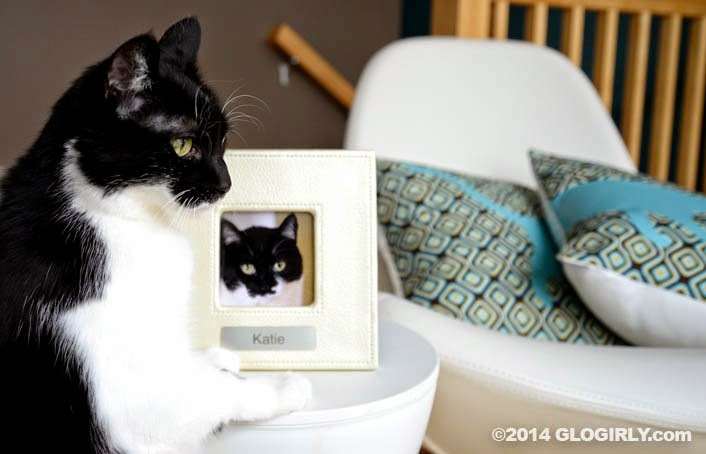 Now..pretty Katie girl..you need to share sometimes sweetie..
we agree - Katie you need a label maker!!! GO KATIE!! Even our little orange monster here is rooting for you! How dare he. Wanna borrow my spray paint to put your name on everything, Katie?